Team building events can be incredibly beneficial within a corporate setting, as employees learn to trust one another and cooperate in a more productive fashion. Apart from these work benefits, they are also fun! It’s nice to get off-site once a while, clear the day of the standard to-do list, and enjoy a meal (and maybe a cocktail!) altogether. Doing activities that promote teamwork and shared values can foster a greater sense of both individual and group purpose within a company. So gather your team, and start collaborating! Channel your inner Second City voice and have fun acting out improvisation skits with your co-workers. Improvisation can boost confidence in public speaking and promote quickness for mental processing and response rate. These features are extremely useful in corporations, as thinking on the spot and communicating well are key to building business relationships and conducting projects at hand. Playing trivia is both fun and beneficial for mental health. Research has shown that playing games and solving puzzles can boost brain health and lower risk of Alzheimer’s. Test your knowledge and gain some more with your co-workers! Then you can take those smarts back to the office and really put them to work. Learning to cook a healthy, simple meal with your co-workers is both fun and informative. Eating healthy meals is vital for work performance, as those who eat well are found to be the most productive. Learn the basics for clean eating, healthy snacking and meal planning in order to boost work productivity and wellbeing. After, you and your co-workers can then enjoy your delicious creations together! Working as a team to solve a problem or find a solution is essential to collaborating more efficiently at work. A scavenger hunt poses the perfect opportunity for co-workers to come together in achieving a common goal and using their brains and solving skills to think together and get results. Plus, you’ll be playing for treasure, of course! Sharing personal information is a great way to bond with your co-workers and create a sense of common interest and understanding. Each person writes down three truths and a lie on paper, and the rest of the team will guess which is the lie. This activity is super fun and can help foster deeper ties within the company. For more corporate team-building ideas, visit here. This site has tons of great ideas for games and puzzles that everyone will enjoy! We would love to help you plan your next team-building event! 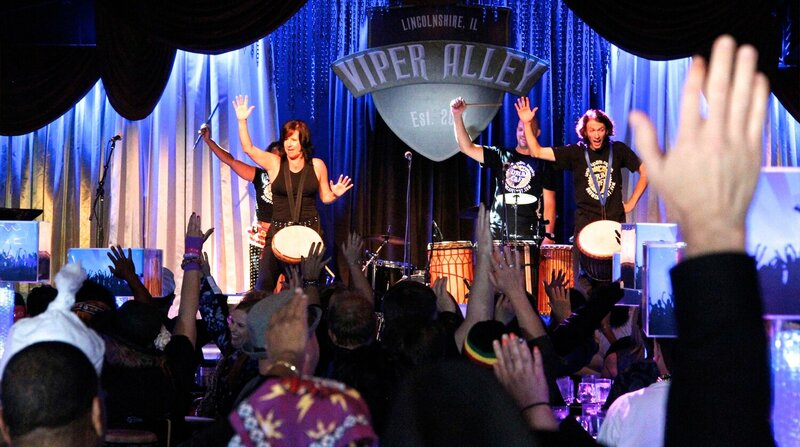 To plan your next team-building event at Viper Alley, contact Sarah Hartsfield at 847-499-5009 or sarah@viper-alley.com.